While it may sound like an occasion for casual wear, stars turned on the creative glamour and shine. 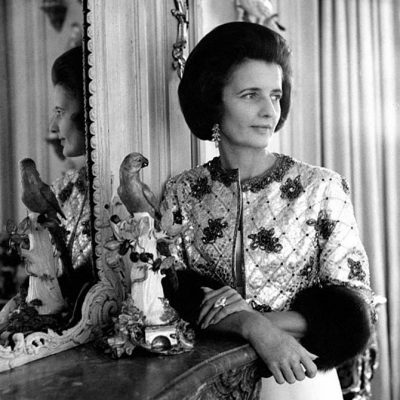 Several chose jewels from Piaget. It was an extra special occasion for the Swiss jeweler who celebrated its tenth year supporting the Film Independent Spirit Awards and its first time appearing in one of the nominated productions. Piaget designs made a dazzling appearance on Natalie Portman in Jackie. 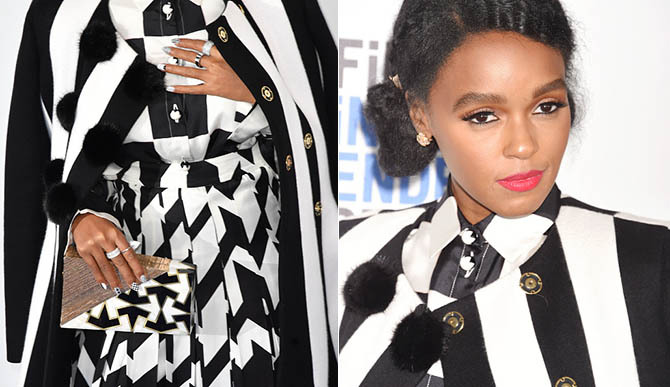 Janelle Monáe matched her signature black and white ensemble from Ferragamo with a matching manicure and four Piaget diamond rings. There were two wide bands from the Possession collection covered in hundreds of little diamonds totaling around 8.5-carats of gems. She also sported a diamond Palm Tree ring and a Piaget Limelight Couture ring set with diamonds and black spinels. 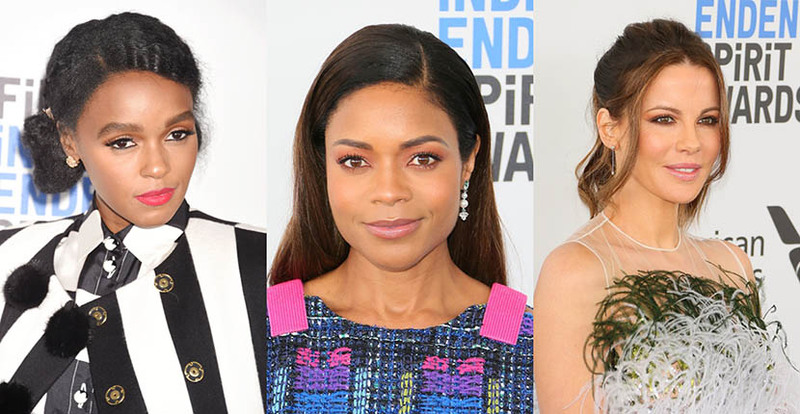 The Hidden Figures actress expertly mixed her metals and put on a pair of yellow gold and diamond Rose earrings. 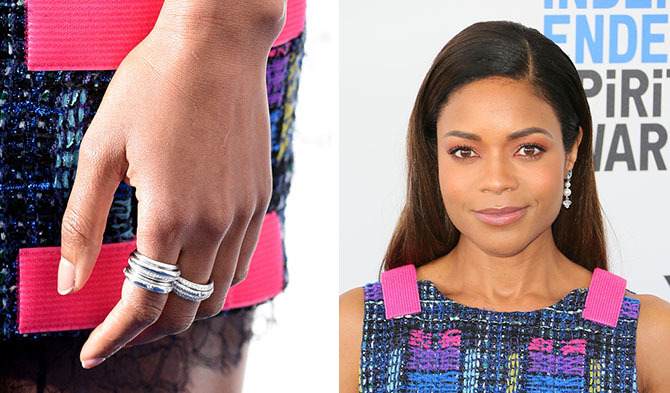 Naomie Harris paired her colorful Chanel tweed dress with Piaget Gems of Roses pearl earrings set with diamonds and tourmalines. Like Janelle Monáe, the Moonlight actress also piled on Piaget’s Possession rings. She wore three from the popular collection. 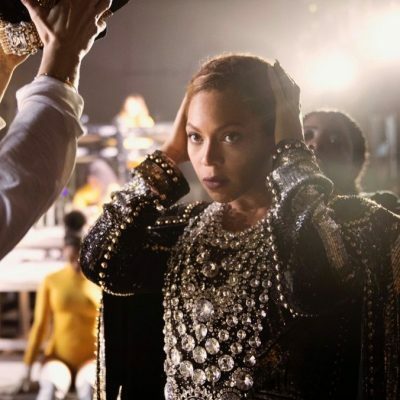 One in the trio is set with 234 diamonds weighing a total of 2.20-carats. Kate Beckinsale wore an elegant pair of Piaget Possession earrings with her Pamela Roland gown. 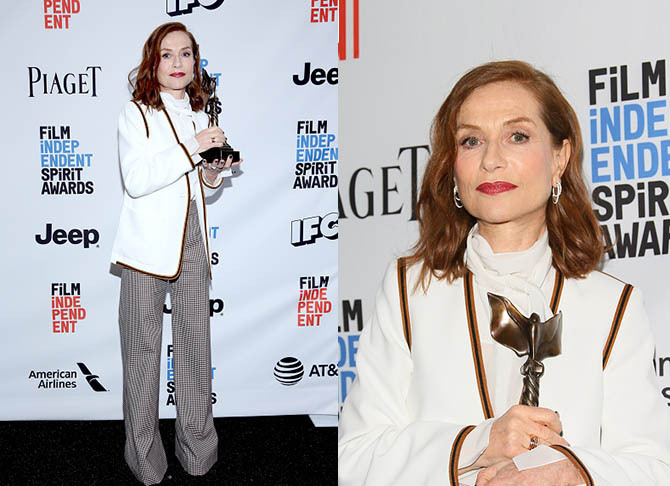 Isabelle Huppert, winner of the Best Female Lead award for Elle, added glamour to her Chloe pants and blouse with Piaget crossover diamond hoop earrings from the Possession collection. She also chose wide band rings from the Possession collection. Her trio of designs from the line included two rose gold rings and one white gold piece. All of them were set with diamonds.